In order to ensure correct installation of Forecourt Solutions composite manhole cover range we have produced the followin installation instructions. It is a condition of the warranty that you install our covers in line with the installation instructions. 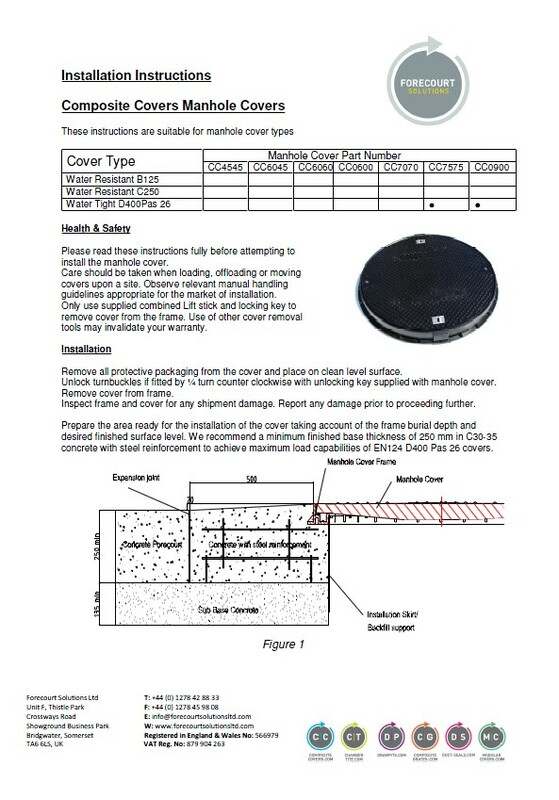 Please click on the link below to view the installation instructions for the Composite Covers Range. Should you require these instructions in an alternative language please contact us. We can also provide advice on installation in other surface finishes. Tarmacadam, Concrete, Block Paviors.